Is it snowing in Chamonix ?Thank you! 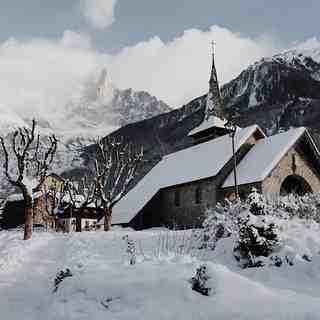 Chamonix is a winter wonderland! The Chamonix Valley is consistently rated as one of the top ten ski resorts in the world, catering for every taste and ability. 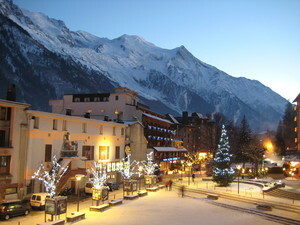 Chamonix, site of the first Winter Olympics in 1924, is a city of 10,000 residents and the main resort in a valley dominated by Mont Blanc, western Europe's highest mountain (15,770 feet). 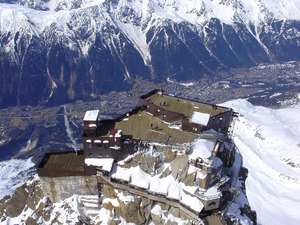 Chamonix valley can boast of some of the best skiing and scenery in the Alps and a hard-to-beat list of winter sports activities. 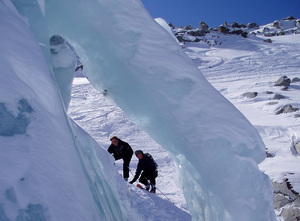 One of the world's greatest runs is the 13-mile journey down the Valle Blanche glacier and the Sea of Ice, a drop of 9,200 feet; highest lift-served vertical descent in the world. 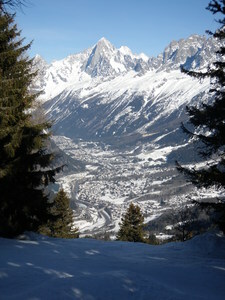 Chamonix has six separate ski areas in the valley. They have a total of more than 90 miles of prepared slopes and trails and 49 lifts. 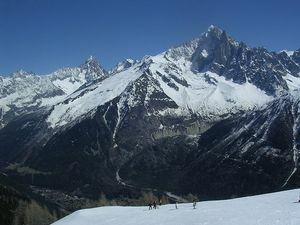 Particularly popular with powder skiers and snowboarders is Les Grands Montets, which rises above the village of Argentiere which is near Chamonix. Noted for its tough terrain, the area's 20 miles of groomed runs are 50 percent, serious, black and only 10 percent easy. The vertical is just short of 6,800 feet. No one gets bored.